What is the difference between a cheap bicycle and a premium bicycle? To many new cyclists, this question definitely pops up when they are considering buying a bike. Why should I pay $1000 or more for a new bike, when I can get a bike at Giant/Carrefour/NTUC etc. for just slightly over $100? This is a perfectly legitimate question, and I believe that many people, including seasoned cyclists, would like to know the answer too. I would like to tackle this question by doing a logical, simple but extensive comparison of 2 different bikes. By listing down the different components and comparing them, we can (hopefully) see the reasons for the price difference. In order to make the comparison as fair as possible (according to me anyway), I will select 2 bikes that look similar, but with a significant difference in the price tag. 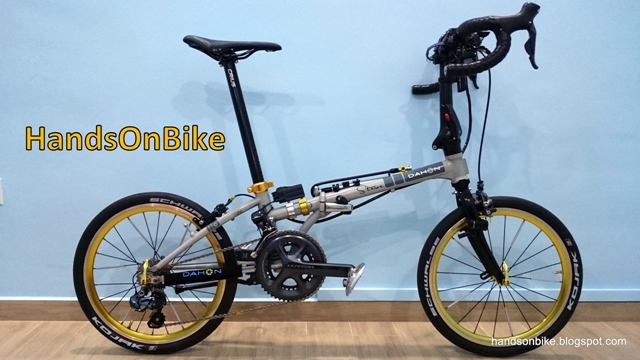 Since I am more familiar with folding bikes, I will make the comparision using folding bikes! One of the cheaper folding bikes that I know of are the Aleoca folding bikes, which can be commonly found in many hypermarts. This particular model shown below is an Aleoca Ready2Ride 20" folding bike, and it retails for less than $150. A folding bike that I would regard as Premium grade would be the Dahon MuP8. This MuP8 retails for around $1200 in Singapore. The MuP8 is not a particularly high end bike, but it is definitely a very good bike. On one hand, we have the Aleoca 20" folding bike for the cyclist on a tight budget, while on the other hand we have the Dahon MuP8, for the more discerning cyclist with a bigger budget. What makes the MuP8 cost 8 times more than the R2R, and is it justified? Let's find out. To start it off, we will compare the frame and the fork of the 2 different bikes. The frame and the fork can be said to form the chassis of the bike, since everything else will be fixed onto the bike frame. It is relatively easy to change out the other components of the bike, but the frame and fork will remain. 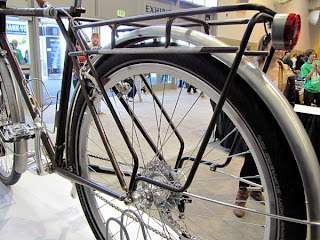 If the frame is changed, you will be practically changing the soul of the bike, and getting an entirely different bike. Since the shape of the frames are similar, the main difference here would be the material that is used. Hi-tensile steel is strong and tough, but it is OMFG heavy compared to lightweight 7005 aluminium! For a folding bike that may be carried around frequently, it is definitely beneficial to have a lightweight bike that doesn't break your back. Same thing goes for the fork. Comparing the hi-tensile steel frame + fork to the aluminium version, the aluminium frame + fork would easily be 1.5kg lighter. This is a huge difference that can be most acutely felt when carrying the folded bike around. The stiffer aluminium frame of the MuP8 would also transmit your pedaling forces more efficiently to the drivetrain, resulting in less energy loss. However, this property of the material also means that road vibrations will be felt more strongly by the rider on the aluminium framed bike. This is not a serious issue for most people, and can be mitigated somewhat by good quality tires. Another difference in the material property between steel and aluminium is that steel will rust. Even though the steel frame can be painted, rust is unavoidable in tropical Singapore, where the air is humid and there is usually an abundance of rain. With a steel frame, after-rain maintenance is required to prevent or minimize rusting of the frame. An aluminium frame shrugs off water with no problem at all. Being lightweight, stiff, rust-proof and low maintenance is what makes the aluminium frame and fork much pricier than the hi-tensile steel version. One of the biggest questions cyclists may have is whether to go for an affordable or high-quality bike. With your tips they will surely be able to make better decisions. Thank your for writing about this. hi, want to know if chromoly frame rust in our tropical weather? Without contact with water, it does not rust easily. As long as you dry it after rain it will be fine. Hi, I planning to get a folding bike. No idea which to get yet. In mind Tern Link D8. Do Tern Link P9 or P24h is a better deal or value for the price? Planning to use it to cycle around Singapore. The Link P9 will have better components than the Link D8, such as better wheelset, better components overall. P24h has many speeds, so it can go fast and also climb slopes. It uses a 3 speed internal hub X 8 speed cassette for the 24 speeds. Can't really say which is better deal, it really depends on your preference and riding. The Link P9 is good for PCN rides, but if you plan to explore more places with some slopes, the Link P24h will do it all. End of the day, ride the bike and test it out. Hi Steve, planning to get a foldie mainly for exercising purpose. Then the future backside itchy mod question stucked me. 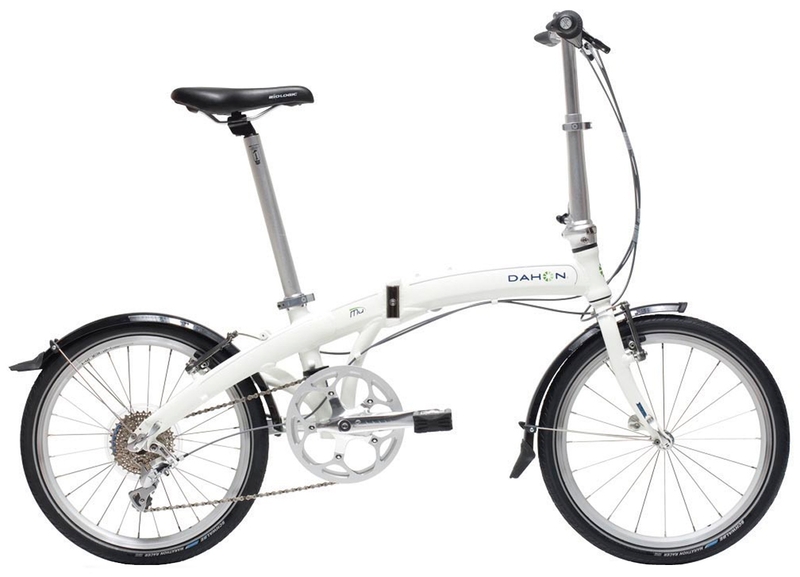 Am looking at 2 dahon models, horize and mu p9. In your opinion, which will be a better choice for mod purposes? Both are fine for modding, the main difference being the frame design. there is some difference obviously, but i prefer cheap because of my un-caring nature. Hi Steve. I got the horize recently but im losing speed tremendously to my other kakis and I felt so much effort and heavy. Changed bike with my friend's dabon p18 and crius velocity, felt so much effortless. I notice the freewheeling of horize is rather low too. Do you think changing the stock kenda tires to kojak would help? How about wheelset and drive train? And any idea if the dahon horize wheelset is kinetix comp 406? Think the Dahon Horize stock wheelset and tires is not as smooth rolling, that could be a reason. Changing to slick Kojak tires would help. A good wheelset would be Wheelsport. There are other reasons such as riding posture and rider fitness. Indeed I love riding mountain bikes and I would love to go on adventure. Whenever someone look for reasonable bike then obviously price is the first thing he looks for, whether someone can afford it or not. Great post ! I am very confusing something about bike. This post make me clearly more. Thanks so much ! Corrosion it is a fact of life independently aluminum or steel. While corrosion is more prone to steel than certain aluminum (corrosion in aluminum is aliminum oxide forms as a dust powerdry substrate). when corrosion starts it is harderand expensiver to repair and good luck with that! I think cheap bike is best for those who are using bikes randomly sometime use those bike roughly. But premium bikes are best for the people who are use the product for filling up their desire or need.